B2B merchants know that producing product literature can be a lot of work. Examples include specification sheets and safety data sheets. Both take time to create and keep current. 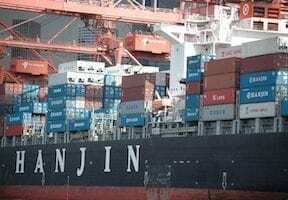 They can add to a merchant’s already busy workload. The data for the literature comes from different places. Some of it comes from marketing personnel, some from product management, and some from accounting and inventory systems. Regardless, merchants need a system to ensure the most recent sheets are on their websites and otherwise available for sales personnel — possibly in multiple languages. The sheets assist buyers and address always-changing regulations and requirements from, say, the U.S. Department of Transportation and the U.S. Occupational Safety and Health Administration, among other agencies. Moreover, outside parties, such as distributors and print publications, depend on the data, as do third-party services that store the sheets and provide 24/7 access to satisfy regulatory requirements. It is a lot to keep track of. In this post, I’ll address how to streamline the process. Start by reflecting on your existing processes. How do you produce data sheets and who is involved? The process could be manual. Perhaps your marketing team develops the product literature and puts it on a shared drive for the entire company to access. From there the literature is uploaded to your website. Some companies have developed a proprietary database for their product literature, which they integrate with their website to streamline. Others use a product information management software — such as inRiver (my company sells), Riversand, Informatica — which is a central repository of product data that feeds to various distribution channels and locations. It can make the process of maintaining literature much more efficient. PIM software can also reduce the time required to list new products on your website. If you opt not to use PIM software, however, consider these three tips to improve efficiency. Streamline the maintenance process. Can one file apply to multiple product pages? If so, you can upload, say, a spec sheet once and then check a box for all the products it applies to. There is just one place to update the file, instead of having to go to each product page. Consider a separate database. If you don’t have a proprietary database of your product literature, it may be worthwhile to create one. This would enable you to create a central source of information to integrate with multiple websites or outside services. Eliminate manual redundancies. If you stick with a manual process, there are ways to make that more efficient. Write down all of the steps in your process and look for opportunities to eliminate redundancies. Review the process with the personnel and brainstorm on how to make it more efficient. Also, think about how to provide the best experience for your buyers. Product literature will build trust and help convert buyers into long-term customers. The info answers buyers’ questions, which encourages them to order from you. And they need the data to meet their required regulatory safety standards. Here are some examples of how companies provide product data sheets on their websites. 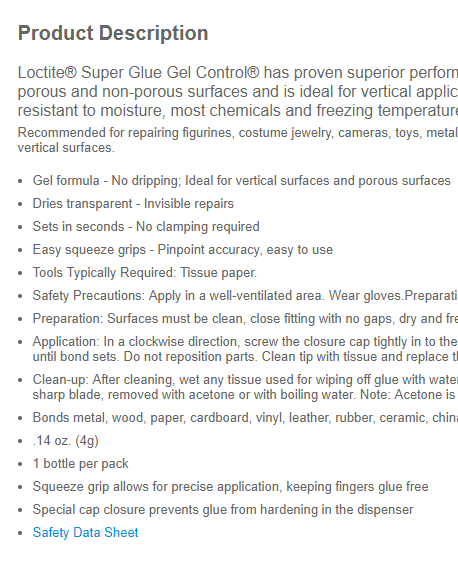 Staples.com links to its safety data sheets at the bottom of product descriptions, such as Loctite Super Glue Gel Control, below. Note the blue “Safety Data Sheet” link at the bottom of this product description. Staples.com also offers a page to search for an item and the results include a link to a material safety data sheet for products that match the search term. This can be helpful if the buyer is looking for multiple data sheets. 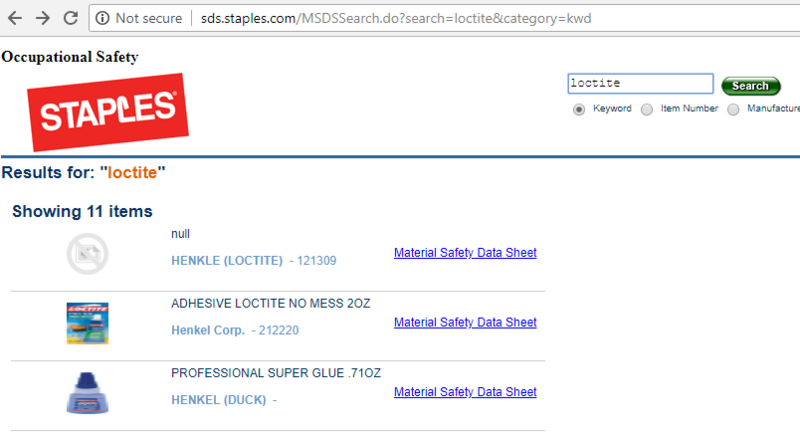 Staples offers a page where you can search for the item and it provides “Material Safety Data Sheet” lists for products that match the search term. Flinn Scientific is a provider of science materials for educators. The company’s website includes a button on the product pages to view the safety data sheet — SDS. 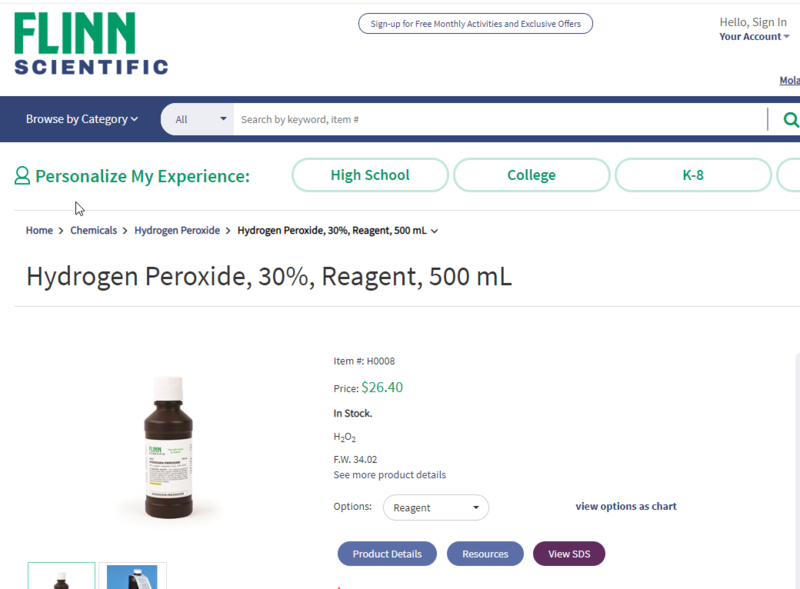 Flinn Scientific has a purple button on the lower right on each product page — “View SDS” — to view its safety data sheet. Then, when users click on that button, they land on a page to download the PDF or to save it to their library. 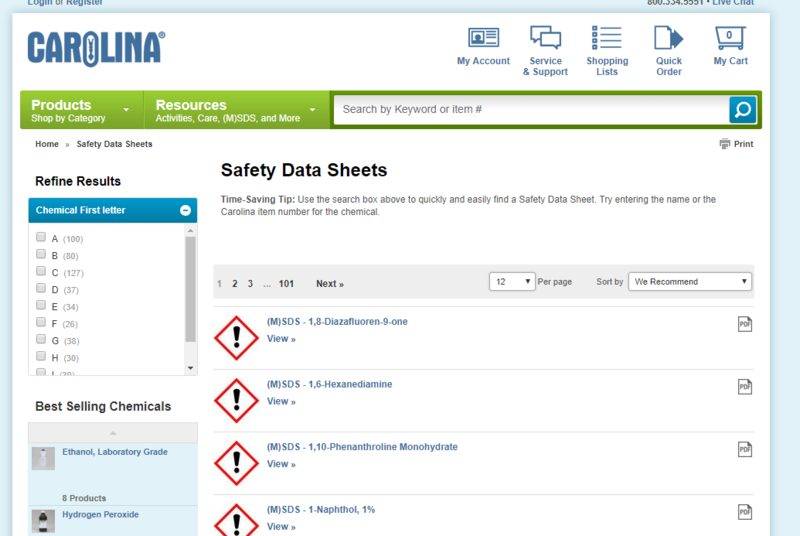 Users at Flinn Scientific’s website can download the safety data sheet PDF or save it to their library, as shown at the lower right. 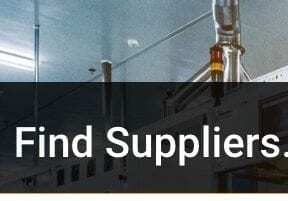 Carolina Biological Supply Company, another provider of science materials for educators, offers a material safety data sheet — MSDS — on a “Resources” tab on the top of each product information page. Carolina Biological Supply Company offers a material safety data sheet — MSDS — on a “Resources” tab on the top of each product page. Also, in its main “Resources” section, accessible from the home page, Carolina Biological Supply includes all of its safety data sheets. In its main “Resources” section, Carolina Biological Supply includes a page of all of its safety data sheets. Business owners strive to improve operational efficiency and provide better service to their customers. Using technology to maintain product literature and make it more accessible to buyers can accomplish both needs.